Lincolnshire wedding photographers : 166 Photography — Beautiful Family Photography in Lincolnshire Woodland. There is something special about the woodlands in Lincolnshire, it is just so beautiful! A family shoot like the one we had with Kerry & her family made it even more special. This slide show simply captures a few of the highlights. 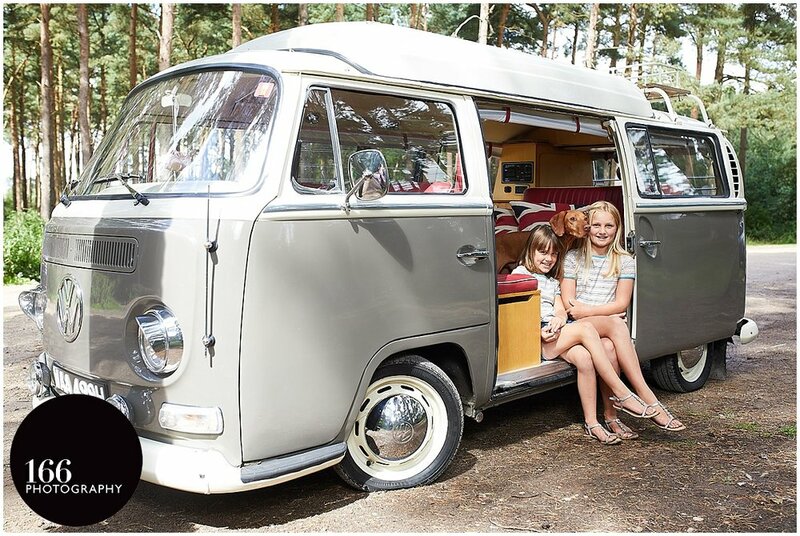 Kerry & her family travelled from Lincoln to the location, which is near Woodhall Spa, in their beautiful camper van. We spent a couple of hours exploring the woodland and capturing this wonderful family having fun in a gorgeous Lincolnshire location. We let the kids explore and made sure we let the four legged member of the family get in on the fun. It is always great to capture a family spending time together and enjoying themselves. Kerry was wonderful at allowing us to use our "don't listen to your parents rule". This may seem weird, as we know many parents are worried about their children misbehaving, or not smiling, or just embarrassing them on a photoshoot. Parents get tense and stressed heading into the photoshoot and forget that having a photoshoot with your family is fun. This stress can then rub off onto the rest of the family and make it harder to get great images. Carl always says to stressed students "You don't need to worry until I worry and I am not worrying right now". This also goes for parents worried about their photoshoot. We have both worked extensively in education and have seen and heard it all. Parents worry that if their kids aren't well behaved and angelic, with a smile that is normally only seen on child models, then they must be terrible parents. Trust us, we would be more worried if you were like that. We find the "don't listen to your parents" rule is one of many tricks we have up our sleeves for those members of the family who are a little more reluctant. It also allows parents to relax. So as the sun has set on the shortest day, think about how the summer is only a heartbeat away and that soon your children will be a year older, a year wiser and growing up before your eyes. Make 2018 the year to capture these memories in beautiful photographs. Although it may not feel like it some days, they will soon be all grown up and you will regret not capturing memories, mini tantrums and all!